The name Emmanuel takes in the whole mystery. Jesus is “God with us.” He had a nature like our own in all things, sin only excepted. But though Jesus was “with us” in human flesh and blood, He was at the same time very God. We shall often find, as we read the Gospels, that our Savior could be weary, and hungry, and thirsty–could weep, and groan, and feel pain like one of ourselves. In all this we see “the man” Christ Jesus. We see the nature He took on Him, when He was born of the Virgin Mary. Let these thoughts sink down into our minds. Let us bless God for the encouraging truths which the first chapter of the New Testament contains. It tells us of One who “saves His people from their sins.” But this is not all. 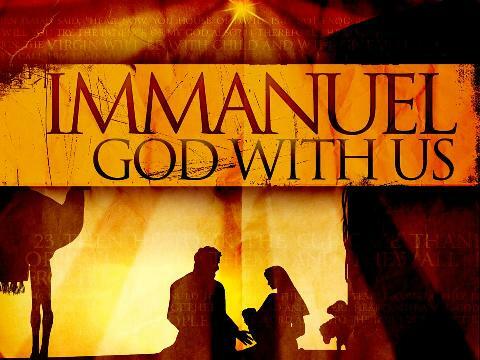 It tells us that this Savior is “Emmanuel,” God Himself, and yet God with us, God manifest in human flesh like our own. This is glad tidings. This is indeed good news. Let us feed on these truths in our hearts by faith with thanksgiving. Posted in Devotionals/Commentaries, January, MatthewTagged Bible, Bible daily, Bible reading, Bible study, daily Bible, God With Us, J.C.Ryle, Matthew, Scripture, The Great "I Am" is with us!